Kaplan Fellows @Yesod is a professional development opportunity for talented, creative, mid-career Jewish community professionals who want to make a difference in their communities and maximize their potential. Over the course of a year participants join four in-person gatherings (including one with peers from Latin America and the Former Soviet Union), where they gain practical skills, confidence, Jewish inspiration and the peer network that will propel them to future leadership and meaningful contributions in their communities. The Kaplan Fellows @Yesod is part of the Kaplan Leadership Initiative, a global leadership development program. Yesod implements the European group of this program, which also consists of groups in Latin America and the Former Soviet Union. Click here to see the fellows in this year’s Kaplan Fellows @Yesod Cohort II. In the first seminar we start by examining our visions; for ourselves, our organizations and our communities. Amongst other things, you will learn and practice how to articulate your vision and present a project. The second seminar delves into the theory and practice of community building, providing tools for mapping and analyzing community needs. We will also discuss the values that drive us and our communities and you will learn methods for integrating them into everything you do. October 29 – November 5 2019 – Chicago, USA (together with Kaplan Fellows from Latin America and the Former Soviet Union) at the Spertus Institute for Jewish Learning and Leadership. 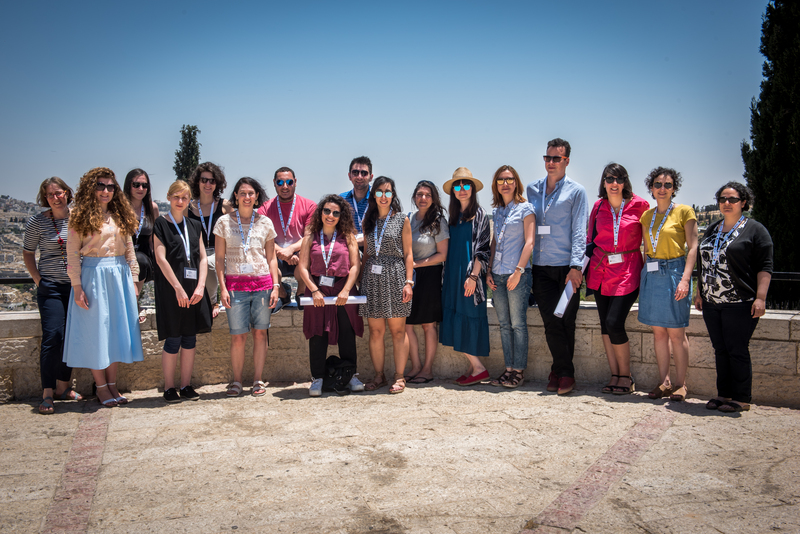 The program’s global seminar is held at the Spertus Institute for Jewish Learning and Leadership campus in Chicago and program graduates are awarded the Spertus Certificate in Global Jewish Leadership. With all the groups together in the USA, this seminar focuses on leadership and approaches to Jewish leadership. We will explore the city and Jewish community of Chicago seeing examples of innovation and leadership in local organizations and expand our global Jewish horizons. In our final seminar we will turn to strategies for change. You will learn about goal setting, stakeholder mapping, evaluating success and how to advocate for change. The seminars are intensive and experiential. They contain a balance between practical workshops, Jewish text learning, exploration of different Jewish communities and group development. Mentoring – participants are matched with senior Jewish educators and professionals for up to 9 meetings. If the following criteria are true for you, then you are eligible to apply for Kaplan Fellows @Yesod. Currently employed in a professional, full-time position within the Jewish community. Record of accomplishment and potential for leadership as a Jewish community professional. Open-minded, self-reflective, excited to engage with new ideas. Currently living in one of the following countries: Albania, Andorra, Austria, Belgium, Bosnia and Herzegovina, Bulgaria, Croatia, Cyprus, Czech Republic, Denmark, Estonia, Finland, France, Germany, Greece, Hungary, Iceland, Ireland, Italy, Kosovo, Latvia, Lichtenstein, Lithuania, Luxembourg, Macedonia, Malta, Monaco, Montenegro, Netherlands, Norway, Poland, Portugal, Romania, Serbia, Slovakia, Slovenia, Spain, Sweden, Switzerland, Turkey and the United Kingdom. If you meet the eligibility requirements and want to grow your potential through this programme, we’d love you to apply! Kaplan Fellows @Yesod is a highly competitive programme. You will be interviewed and must submit two professional recommendations, including one from your current supervisor. Applications are now closed. Interviews will be held in October and we anticipate making final decisions in early November. Check with your supervisor/organization that they will support you. If you need us to help you explain more about the programme to your supervisor, let us know. Check that you can participate in all the seminars (see the dates above). Ensure that you (or your organization) can pay a total of 400 Euros for the whole programme, reflecting 100 euros per seminar. Payments will be made in 2 instalments of 200 Euros; the first on registration and the second before the seminar in Chicago. We encourage your organization to make this contribution towards your professional development. Organize for 2 people to recommend you for the programme. One of them must be in your current workplace, preferably your supervisor or another senior person. Both should know you from a professional perspective and be able to give an account of your strengths and weaknesses and how you can contribute to the programme. Please ask them to fill out this form on your behalf. Please note that it is up to you to ensure that your referees submit their recommendations. We cannot process your application until we have received both recommendations.